He was born on September 25, 1950 in Van Wert County, the son of the late William Dean and Alice Louise (Mohler) Rice. On February 14, 1970, he married his high school sweetheart Phyllis Ann Ickes who survives. Other family members include a son, Gary D. (Tori) Rice of Van Wert; a daughter Kristi (Fred) Gengler of Ohio City; a brother, Rodger D. Rice of Van Wert; a sister, Ruth Hill of Van Wert; three beautiful grandkids that were his shining stars, Willa, Xavier, and Amaya Rice; many nieces and nephews; and two grand dogs, Wyllee and Baillee. He was preceded in death by a son in infancy in 1972; two brothers, John Jay Rice and Charles Dean Rice; and four sisters, Joyce A. Jent, Linda L. Odenweller, Marilyn Bolenbaugh, and Barbara Hill. Gary was a 1968 graduate of Ohio City-Liberty High School and a U.S. Army veteran having served during the Vietnam War era. He was a member of St. Johns Lutheran Church. He retired from Tecumseh Box Factory with 48 ½ years of service. He also served on the Ohio City Fire Department and E.M.S. for 35 years. Funeral services are scheduled for Saturday, February 2, 5:00 p.m. at Cowan & Son Funeral Home, officiated by Pastor Scott Fleming. 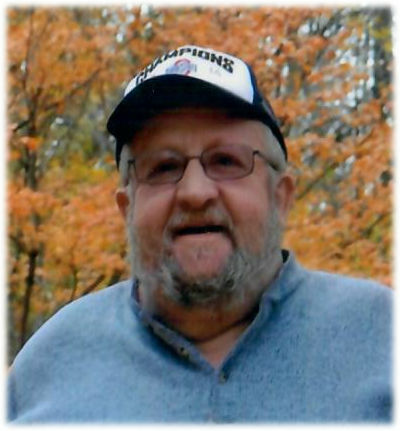 Visitation is scheduled from 1-5 p.m. Saturday at the funeral home. Military rites will follow by the American Legion Harvey Lewis Post #346., Ohio City. Memorial contributions to the St. John’s Lutheran Church or Ohio City Fire Department & E.M.S.